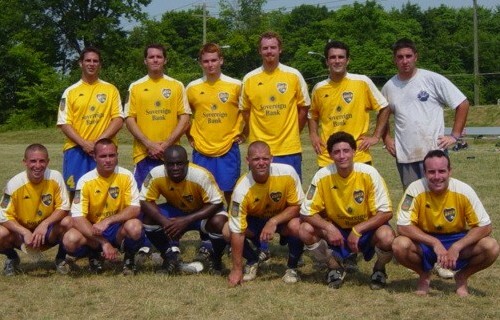 The Jersey Shore Boca U23 team picked-up their second win of the summer season against FC Hudson on Sunday while other Boca teams had a tough week. The summer season is at the mid-way point for some Boca teams which includes a welcomed break and a chance to prepare for the remainder of the season plus special congratulations go out to the Boca men’s open team in this week’s edition of the Boca Soccer Wire. The Jersey Shore Boca U23s picked-up their second win of the MSSL season on Sunday afternoon in Winslow with a 2-0 victory over FC Hudson. Oren Solon (Bayville) tallied the first goal which was the eventual game winner in the first half while Carlos Ruthner (Delran) added an insurance goal. Boca GK Eugene Hahn (Roselle) who will be a sophomore at Kean University in September, picked-up the shut-out. Boca lost 4-0 to Milmay FC from South Jersey in the second game of the day. The U20s traveled to Montvale, NJ on Sunday and faced Silver Lake (NY) in the first game of the day. With the score tied at 3-3 with five minutes left to play, the U20s could not hold on and lost the heart-breaker 5-3. 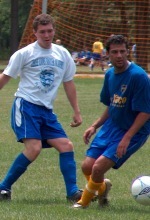 Justin McGrath (Brick) tallied 2 goals while Andrew Perez (Brick) one for Boca. In the second game of the afternoon, the Boca U20s dropped another tough one to the Albertson SC U23 team 4-1. Although Boca had several legitimate scoring opportunities during the game, Boca’s only goal came unassisted from Mark Schmiegel (Toms River) in the second half. Jon Curry-Edwards (Spring Lake Hgts.) was between the pipes for Boca for both games. The Boca U19s dropped two tough matches this week, a 5-1 loss to the Storm Academy (NY) at Fordham University on Thursday evening and a 4-0 loss to FC Westchester (NY) on Saturday afternoon at the Manchester Soccer Complex. Andrew Finger (Mullica Hill) tallied Boca’s lone goal for the week. Boca dropped a tough match 4-1 against the Harrisburg City Islanders (PA) on Wednesday night at the Manchester Soccer Complex. The Boca U14s traveled to Winslow Wednesday evening squared-off against cross-state rival the South Jersey Barons. The Barons got the best of Boca 5-0 on the night. Special congratulations also go out to Ryan Applegate and Christian Treney and our men’s open team this week as they upset the German American Kickers 4-0 in the semi-finals of the Garden State Soccer League Cup on Sunday in New Brunswick and made it to the finals before loosing on penalty kicks to Rahway & Rio United after regulation and overtime ended in a 2-2 tie.